eVGA is certainly not a new player in the market, in fact they are the favorite of many when it comes to their video cards. With the quality and performance that we have seen in their video cards, we would expect to see tehm do very well with their motherboards as well. We have the opportunity to look at their 680i board today, and we will see if their reputation follows them into the motherboard segment of the market. 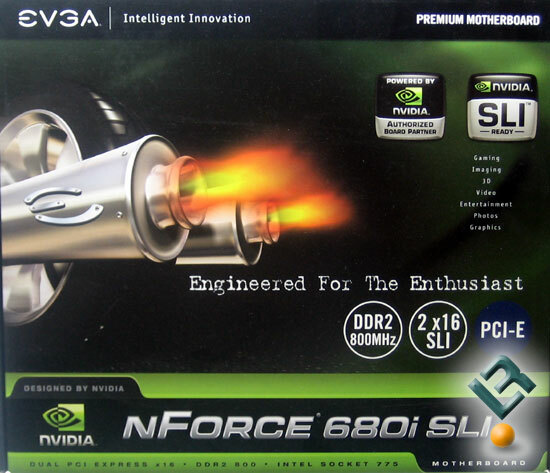 Let me introduce to you the specs of the eVGA nForce 680i SLI 775 motherboard!